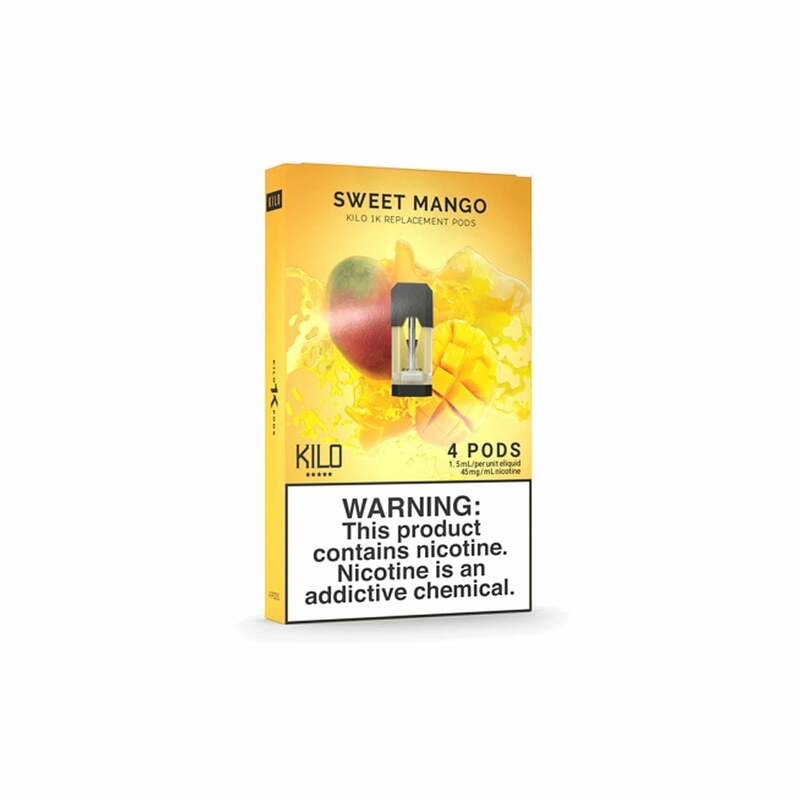 Mango is one of the most popular pod flavors going, and Sweet Mango pods for the Kilo 1K make it easy to see why. Packed with bright and juicy mango flavor, Kilo 1K Sweet Mango pods are utterly irresistible, and are ideal for all-day vaping! Sweet Mango pods are made with nic salts for a strong and satisfying vape every time. Love this one. It’s my favorite of the kilo pods. Pretty strong flavor, very citrus. These pods are soooooo harsh! They have less nicotine then juul, which was why I picked one of these up and the juul’s mango is undoubtably less harsh and produces more vapor as I can get a better hit on them without coughing. Pretty disappointed that I bought this kit and like 3 flavors. I dunno if I’m even gonna be able to use it but I’ll give it a shot.